Habitat: Desert, Upland. 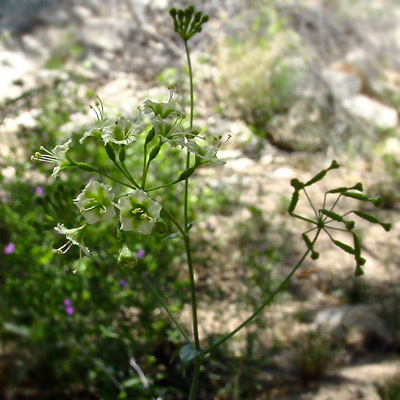 It is usually found growing in shady spots under trees in rocky canyons. Description: The 5-lobed flowers are clustered in 2.4 inch (6 cm) wide umbels of 4 to 11 flowers. The leaves are green, triangular to heart-shaped, and opposite with leaf pairs of unequal sizes. 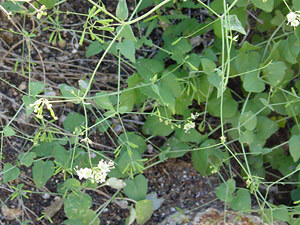 The stems are sprawling or climbing and usually tangled in other plants.